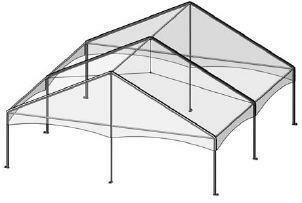 30' by 30' Frame Tent. - 9 Kiwk Covers for tables in your choice of color. - Color wash lights ($TBD).